Boeing and Hawaiian Airlines recently announced that the carrier has selected the market-leading 787 Dreamliner as its flagship aeroplane for medium to long-haul flights. As part of the selection, Hawaiian intends to purchase 10 787-9 jets valued at $2.82 billion at list prices, however, it is understood that the airline from Honolulu is getting at 28.8% per aircraft discount from list prices. as the carrier also has purchase rights for 10 additional 787s. The Honolulu-based airline, which has steadily grown its award-winning service connecting the Hawaiian Islands with Asia and North America, had been conducting an extensive evaluation of its aeroplane requirements. In selecting the 787, Hawaiian will be able to take advantage of the Dreamliner family's superior fuel efficiency, range and passenger-pleasing features to enhance its operations and open new routes profitably. Boeing's competitive advantage was also enhanced by Boeing Global Services. Hawaiian will use a number of new aircraft transition support services from BGS, including Training and Initial Provisioning to ensure a successful and on-time entry into service. "The Dreamliner's operational efficiency and superior guest experience make it the best aircraft for modernizing our fleet in 2021 and beyond," said Peter Ingram, president and chief executive officer of Hawaiian Airlines. "Its expanded seat capacity and extended range will allows us to expand within our current route network and offer new destinations in the Asia-Pacific region." Boeing and Hawaiian Airlines will work toward finalizing this new aeroplane order and it will be reflected in the monthly update of Boeing's Orders & Deliveries website. "Hawaiian Airlines has been on an impressive growth trajectory as they strategically expanded service to and from Asia and North America. We are thrilled they have chosen the 787 Dreamliner to power the next stage of their expansion," said Boeing Commercial Airplanes President and CEO, Kevin McAllister. 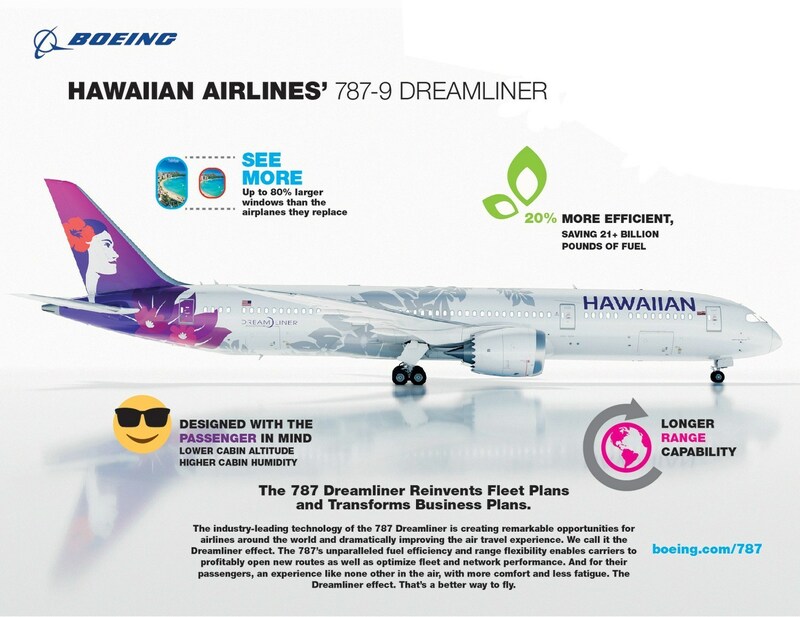 "The Dreamliner's advanced technology, unmatched fuel efficiency, and passenger-pleasing cabin will optimize Hawaiian's fleet for the future and provide their customers with a best-in-class experience." This is the latest airline to switch from Airbus products to Boeing as the American company puts all efforts to steal and poach airlines away from the European manufacturer with massive discounts, subsidies as ludicrous lease packages. 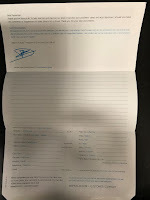 Discounts to some airlines switch allegiances according to documents from Boeing in New York are as much as 35% off list price.